The Terna Medical College, Navi Mumbai is one of the reputed medical colleges of India. It was established in 1991. The college is affiliated with the Maharashtra University of Health Sciences, Nasik. The MUHS is a state university which was established in 1998. 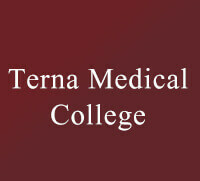 The Terna Medical College (TMC) has recognition under the MCI (Medical Council of India). It is affiliated with the MUHS State University. The Terna Medical College (TMC) provides quality education to students. It has modern laboratories, library, sports, research facilities, and clubs. The students get an ample opportunity for internship.